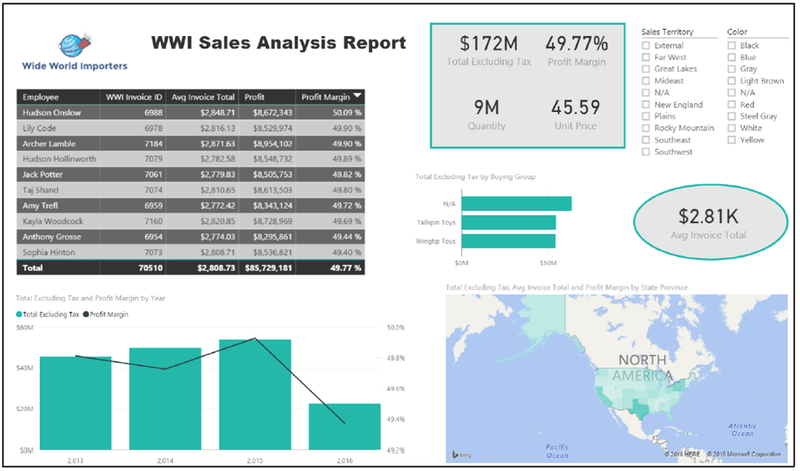 Last August at the MN Microsoft Power BI User Group I presented a walk-through of Power BI based on the new SQL Server 2016 sample database Wide World Importers. I thought I had done a follow up post to share the content, but I believe I just posted this on the LinkedIn Group and possibly on Twitter and it might have been posted on the old user group site. I apologize for not posting this on my blog as well for reference. All of the files for the walk-through are available out on my OneDrive and this includes the presentation slides, Power BI sample files, instructions, logo, and DAX calculations. You can download the files individually or simply download the single zip file. In this example I walk through the process of getting the data, building out the data model, and then performing the report development with the visualizations. Sorry for the delay on posting this content and I hope you find it useful. If you like the example let me know and I can include some additional updates to this material and build it out a bit more.